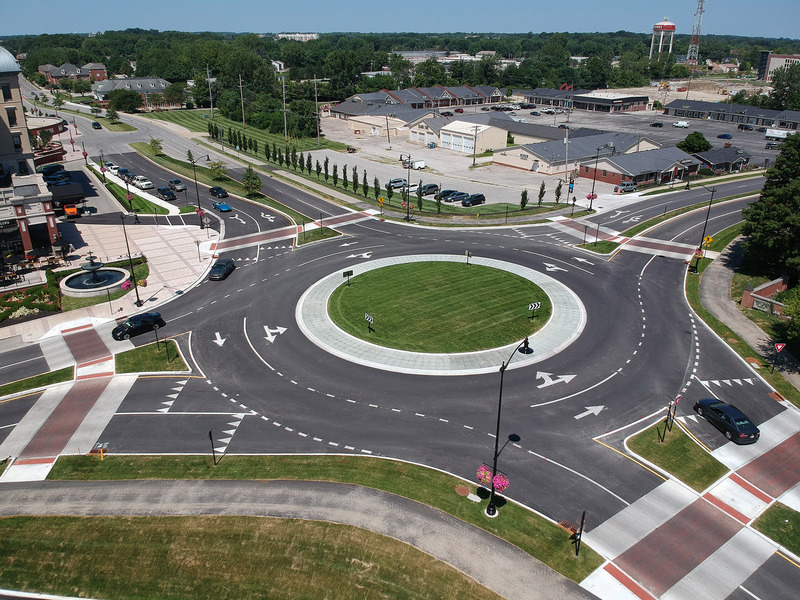 This project converted the existing 4-way signalized intersection at City Center Drive and Rangeline Road to a two lane roundabout. 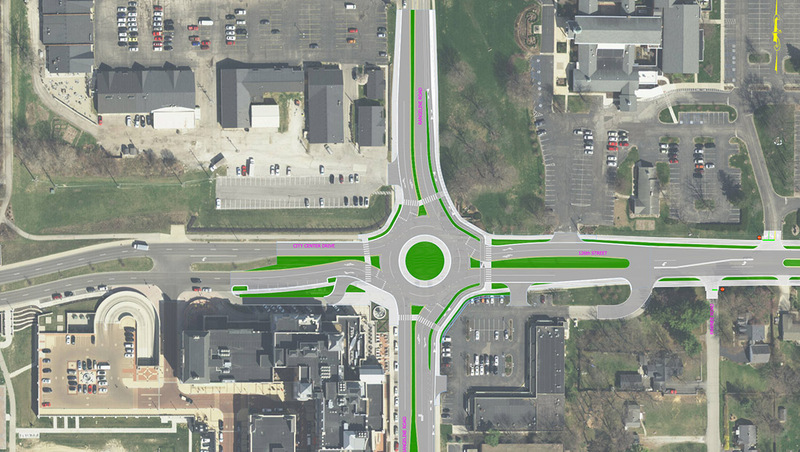 The roundabout tied in to the overall Rangeline Road corridor improvements to the north and south and features a dedicated bicycle lane separated from traffic along with updated pedestrian facilities. 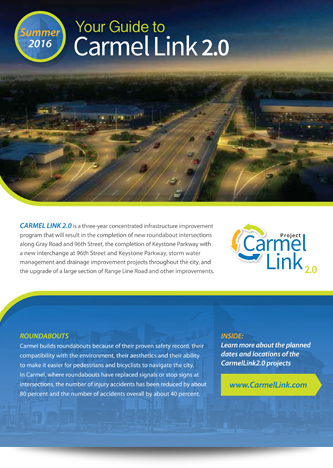 The project extended approximately 300 feet to the west along City Center Drive, and approximately 400 feet to the east along 126th Street. The project consisted of new curb and gutter, modification to the existing storm system, updating pedestrian connectivity with multiuse paths, updating the existing signage and pavement markings, and new street lighting. The intersection was not closed entirely, but rather was built in phases allowing for vehicular connectivity. 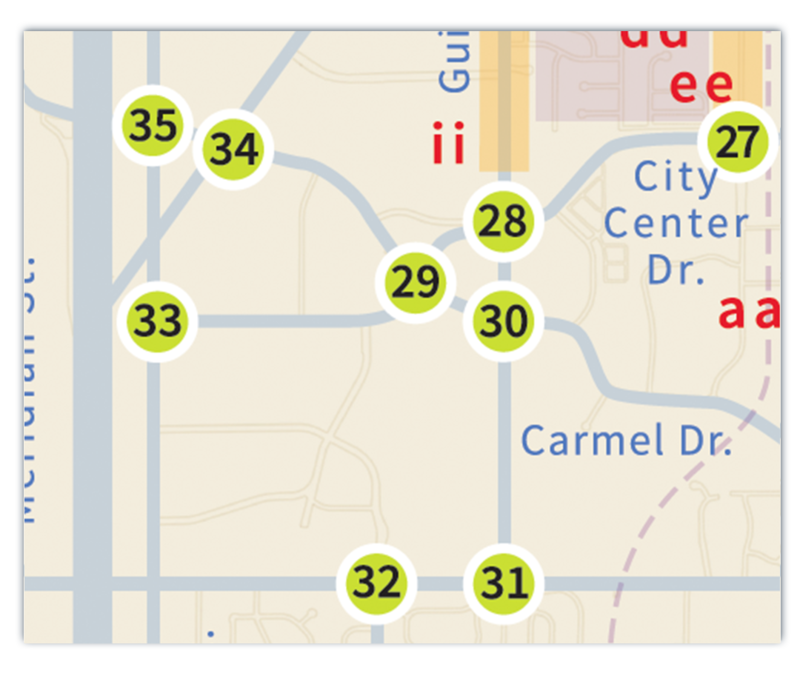 The roundabout was scheduled to be closed on or after April 24th, 2017 and was completed July 1st of 2017.